Picture yourself in Viking land! Join LEIF for a trip to Newfoundland in July 2014. 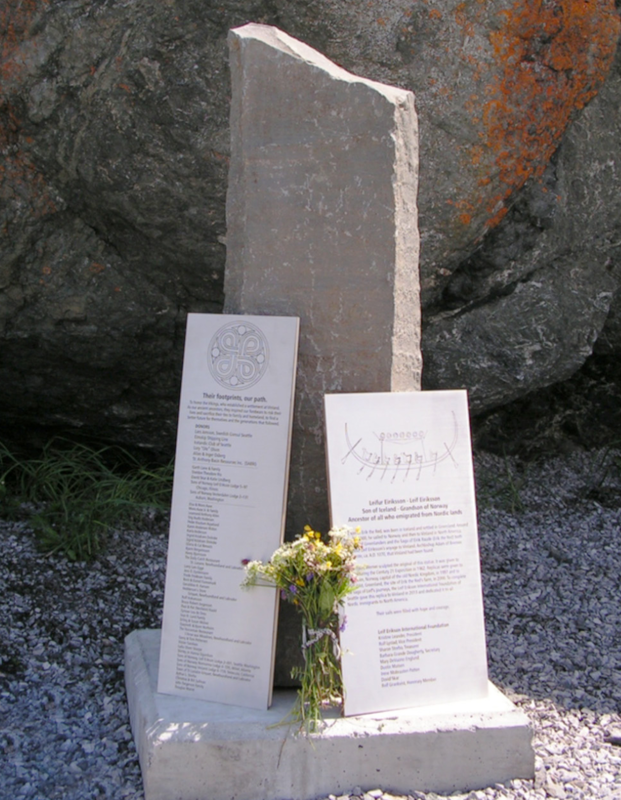 New plaques on an Icelandic basalt stone will accompany the statue. 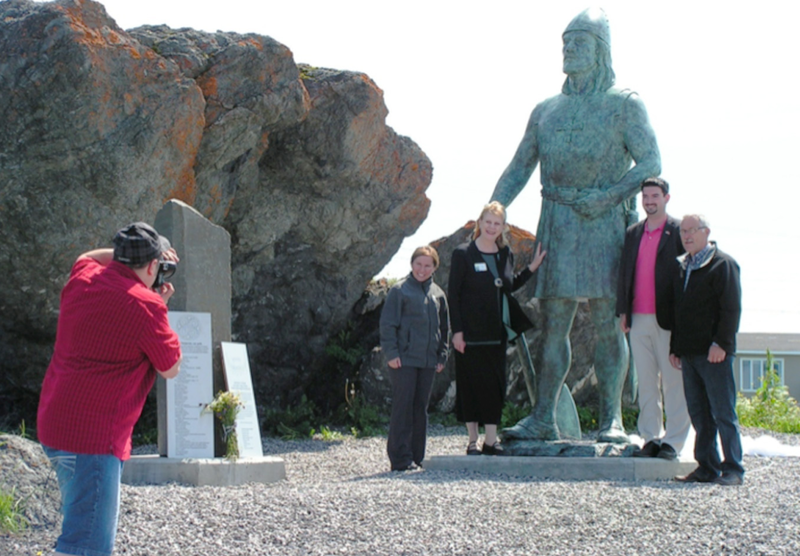 We’re adding a stone and plaque with donors’ names to the Leif Erikson statue at L’Anse aux Meadows, Newfoundland, the site of Leif’s Vinland settlement. You can join us there for the unveiling. Experience incredible scenery and deep history. Try weaving and carving, or sample Viking cuisine. Our trip is scheduled for the last week in July. Led by Kristine Leander, president of the Leif Erikson International Foundation and executive director of Seattle’s Swedish Club. Interested in joining us? E-mail or call 206-778-1081. Get up close and personal with the last replica of Seattle's Leif Erikson statue.